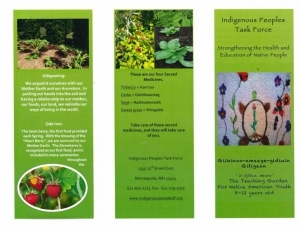 The Teaching Garden is for Native American Youth ages 8-12 years. This programs is designed to teach our young ones about Planting Traditional Asemaa, Gathering our sacred medinces, growing traditional foods, and restoring our language. 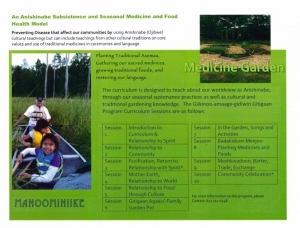 The curriculum is designed to teach about our worldview as Anishinabe, through our seasonal sustenance practices as well as cultural and traditional gardening knowledge.